This coagulator offers you more than 40 special operating modes for various applications in any field of medicine. 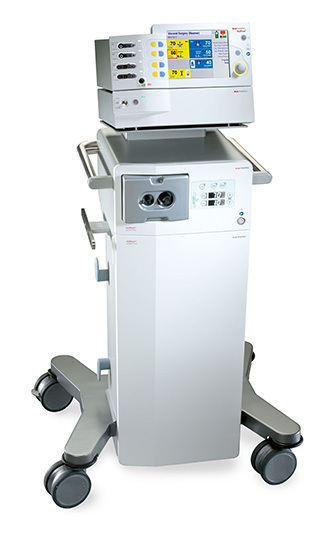 ME 402 maxium® is an innovative symbiosis of the advanced electrosurgical technologies and the convenient interface. The device is very simple and convenient in management. 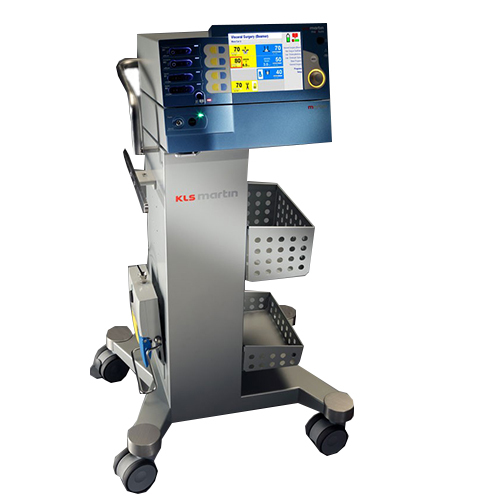 the lektrokhirurgichesky coagulator of ME of 402 Maxium offers four exits with simultaneous connection to 5 various tools for automatic, manual or managements from a foot pedal, allows to use one device for all possible surgical tasks. When using together with the argon block and the cart, ME 402 maxium® sostavlt ideal system for argonoplazmenny surgery. In such complex system the argon maxium® Beamer block completely is operated via the electrocoagulator control panel. 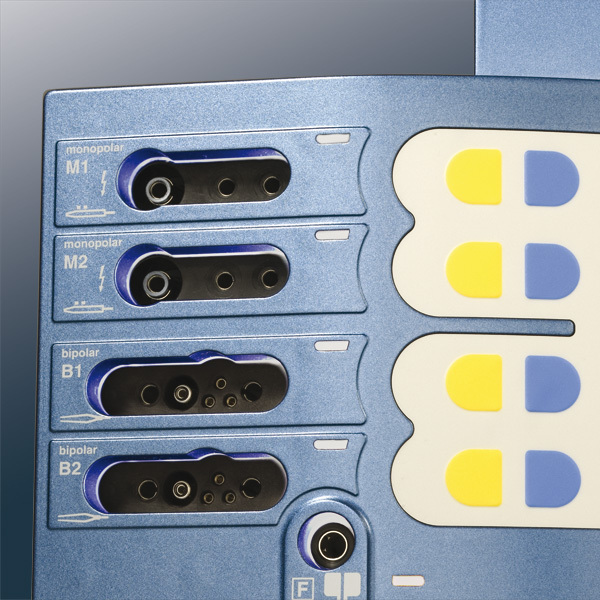 In this configuration the maxium® generator, the argon maxium® Beamer block and the maxium® Cart cart are optimum combined, forming the multipurpose elektrokhirugichesky system made and not having analogs for use in operating rooms. Management of all functions and settings of one rotary handle "Quick Step" with optical system. The biggest color display from the electrosurgical devices which are available in the market provides excellent display of all parameters. 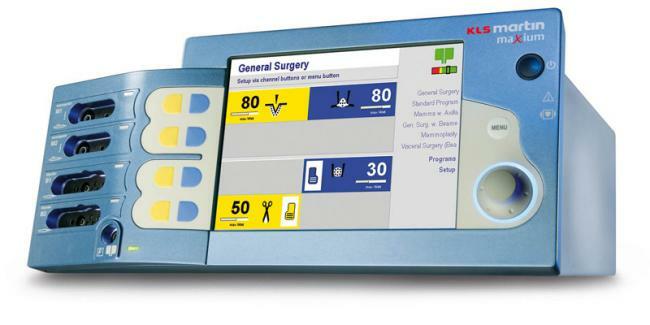 The control system of the patient of PCS with indication in real time of extent of contact and type of a neutral electrode. The special "children's" mode - at connection of a children's neutral electrode not used modes are excluded and power is limited. Possibility of simultaneous work of two surgeons in the monopolar mode on different operational fields. 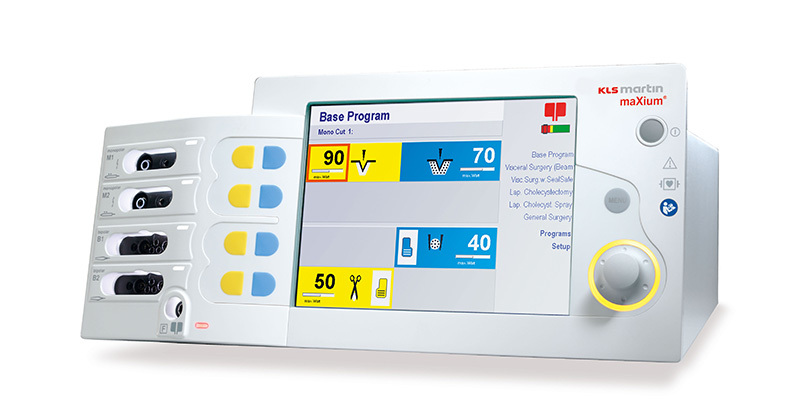 Programming of the device maxium® with creation to 99 user programs which can remain on medical disciplines, indications or just on a user name. More than 40 different modes of cutting and coagulation for all fields of medicine. Two monopolar and two bipolar exits with a possibility of connection to 5 tools at the same time. Monopolar cutting with suppression of sparking with a power up to 400 Watts. Bipolar cutting with use of marCut® scissors. Monopolar and bipolar coagulation with automatic functions. The fractioned modes for endoscopy. Bipolar system of an alloying of vessels marClamp®. System of a bipolar alloying and section of vessels of marSeal®. The bipolar mode of cutting and coagulation for a bipolar resection (TUR-P, TCR). Argono-plazmennaya coagulation with use of the maxium® Beamer block. The cart for placement of argon cylinders and all maxium® Cart service equipment. The tow truck of marVAC® smoke offers protection against the particles, viruses, gases and cancerogenic substances capable to get into lungs. Universal sockets for tools of various producers. The multipurpose rotary switch allows you to expose and to configure any setting of the device one movement of a hand. Thanks to the patented background lighting you are always informed on the current action the rotating handles: yellow = cutting, blue = coagulation, white = menu, OFF = inactively. ME 402 maxium ® impresses with the thought-over concept: the big display displays all current settings; all parameters are accurately structured and precisely distributed on the allocated working channels. As for programming, more than 99 cells of memory for the user parameters (individual programs) make ME 402 maxium ® the universal and irreplaceable assistant in surgery. ME 402 maxium® is available in three versions, depending on socket type. There is no need for adapters since tools of any producers can be connected directly. 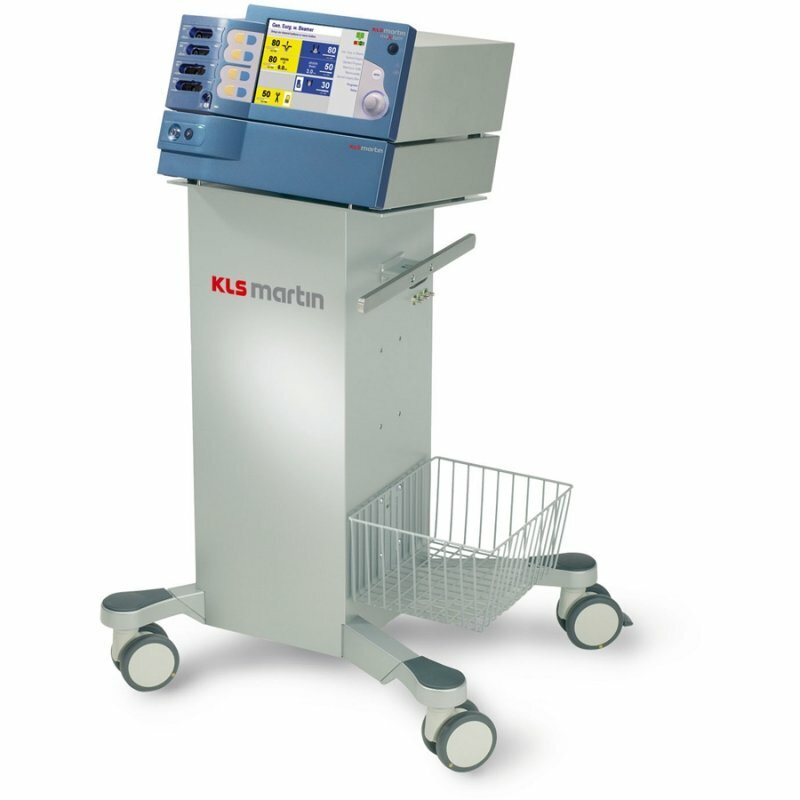 KLS Martin represents "the multipurpose trio" of the last generation: ME 402 maxium ®, argon maxium® Beamer block and maxium® Cart cart. Together they are system number one for open and endoscopic argonoplazmenny surgery. On the maxium® Cart cart it is possible to place not only ME 402 maxium®, but also the argon maxium® Beamer block. Also the place for tools and accessories is provided in it. The widest range of accessories and tools developed according to your requirements. You will find more detailed information in our brochure. Unbelievable price on Electrosurgical device ME 402 Maxium (electrocoagulator), Gebruder Martin in Almaty (Kazakhstan) company Iskra trejding, TOO.